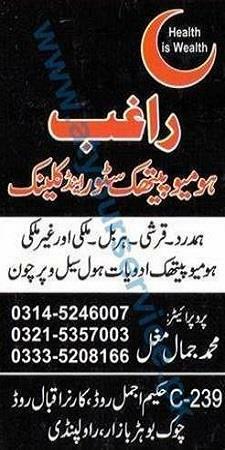 Raghab Homoeopathic Store & Clinic is located in Bohar Bazar, Rawalpindi. We deal all kind of local and imported homeopathic & herbal medicine including Hamdard and Qarshi. We deal in both wholesale and retail quantities.